Simply stated, we are the most Reliable and Professional Pool Service Company in the District! 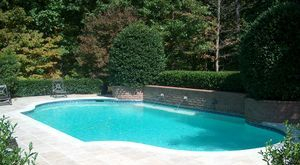 One of our primary reasons is, we ONLY service swimming pools in Washington, DC. We do not service pools in Maryland or Virginia. Why? By exclusively servicing pools within the District, we can respond to your swimming pool needs in minutes, NOT days. We live in Washington, we work in Washington, and we are ALWAYS in your neighborhood. After 30+ years in swimming pool service, we have found that by limiting our business to a certain geographical area, and by limiting our business to a certain number of daily service slots in the area, we are able to perform the QUALITY of swimming pool service that you demand as a customer, and that we demand of ourselves. We specialize in quality not quantity! Please call us at your convenience to discuss your pool needs, and to secure your desired service day(s) in our limited number of available service slots. We will respond to your pool needs in an immediate and professional manor. © 2014 Washington Pool Service LLC . All Rights Reserved.